There is a legend about my life. Once there was a terrible dragon! But no one was brave enough to stop it. One day I saw the king’s beautiful daughter about to get eaten by the dragon. I jumped from my horse and battled it. I protected myself with the sign of the cross. 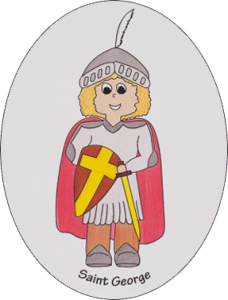 After I defeated the dragon, everyone in the town was baptized and believed in Jesus. God used me to show the people that nothing is stronger than God. 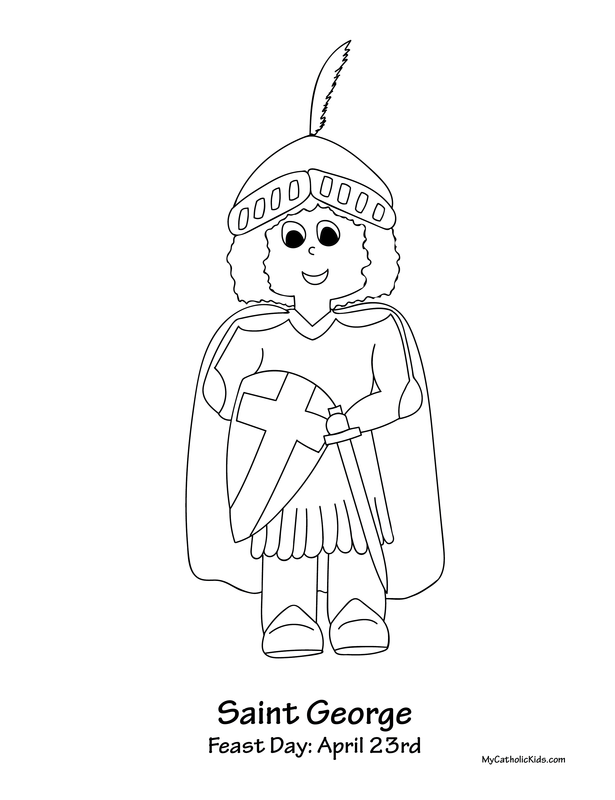 You can help your children celebrate the feast of Saint George with our new Saint Stickers or a magnet!